I have had one of the worst colds of my life this winter, and I don’t say that lightly. At the first sign of illness, I start breaking out all my artillery for prevention and treatment, in case any symptoms persist or try to sneak through my fire wall. Affirmations: I am healthy! I feel great! Acting ‘as if’ I was well: I continued with my usual routine, including a book selling event that I absolutely should have stayed home from. I took some Airborne. I thought ‘well’ thoughts. I got sicker and sicker. I drank extra fluids. I took Manuka Honey in my Gypsy Cold Care and Throat Coat Teas. I did salt water gargles four times a day–okay, once a day when I remembered. I took hot showers and inhaled the steam into my lungs. 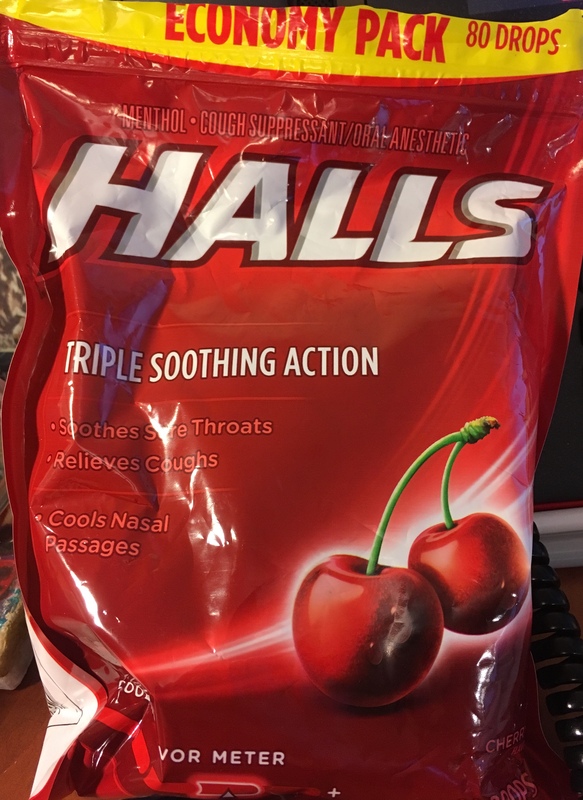 I broke down finally and bought some of my go-to cough drops, the ones that always helped me weather the coughs of yore: Hall’s Cherry Menthol (even though I know they typically don’t work any better than hard candy to stop a cough). I started taking them liberally. I had been a cough drop snob prior to this, and declined when she first offered them because I was holding out for my Hall’s. Her cough drops were generic. After I figured out that the brand name cough drops were just making me cough more, though, I changed my stubborn mind. Guess what? The generics worked just fine. Note to self: Be a health detective! Don’t assume that if something worked for you in the past that it still will now! Pay attention to your body’s cues. 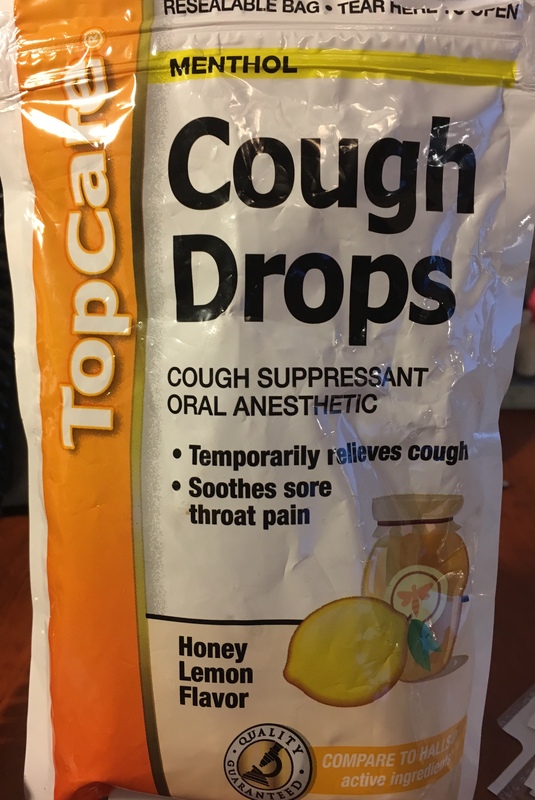 If your cough goes into overdrive after you take the cough drop, that’s a pretty good sign that it’s exacerbating the situation and you need a new strategy! So where did you all go? My fat jeans are too tight! Please visit me on Facebook!